We tend to think that selfies are a modern phenomenon made possible by the ubiquitous cellphone camera. And while it is true that Facebook and the cellphone have gifted the world the Duck Face and other selfie abominations, the phenomenon goes back to the dawn of photography. 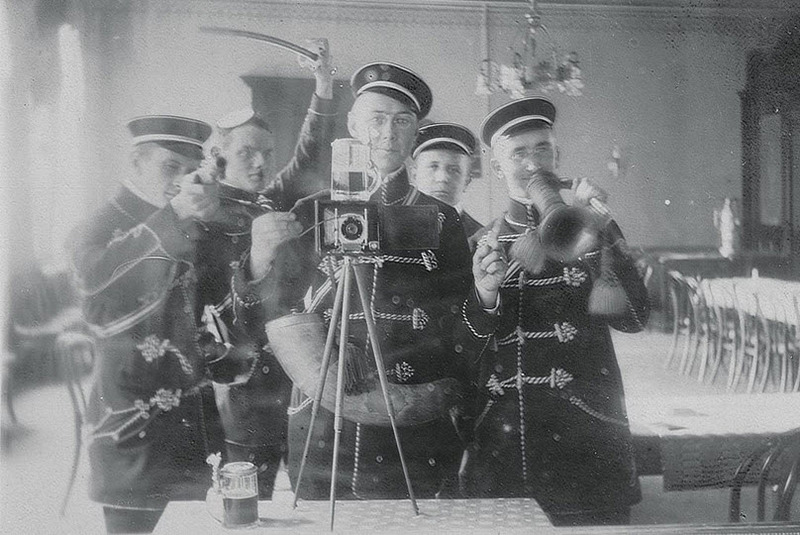 Of course, back in the old days people couldn’t look up at their cellphones and take silly photos of themselves to satisfy their narcissistic need for exhibitionism. They had to resort to posing in front of mirrors. In this old photo from before the First World War, a group of German university students are posing in front of a mirror. In keeping with the deeply militaristic nature of German society at the time, one is brandishing a saber and one is pointing a rifle at the mirror. This reminds of some of the thug life images you see on Facebook where men will pose with wads of money and a gun so as to look impressively gangster. It just goes to show that the more things change the more they also stay the same. As an aside, the man brandishing the sword probably belonged to a university dueling club.Before WW1 duels, even recreational ones not fought to the death, were very serious affairs. The participants wore protective face masks which only covered the nose and eyes and intentionally left the rest of the face exposed so that it could be cut up and scarred. 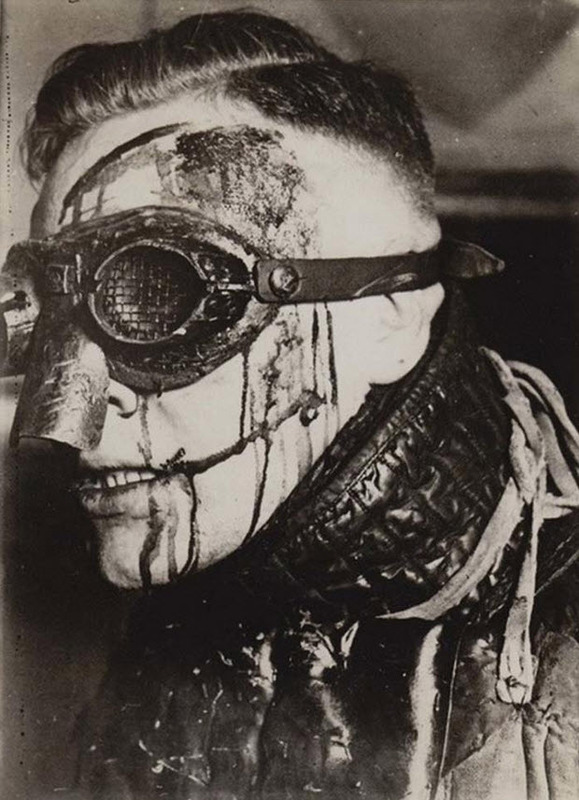 Scars earned in a duel were seen as marks of status and were welcome rights of passage among German university students.